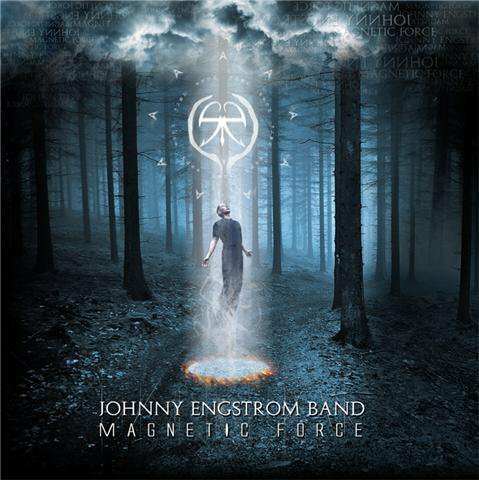 The last couple of days I have been spending all my spare time with this new Johnny Engstrom Band release called Magnetic Force. I already liked their previous release, and I feel this one is even better. Magnetic Force is a kind of concept album, dealing with alien abduction, delusions, mysteries and so on. Maybe they are influenced by Blue Oyster Cult, who also happen to write a lot about themes like this. But even if this lyrical concept is not your thing, don´t worry, there are many things to like about this album. First thing to notice is that at times they are considerably heavier, thus crossing borders between progressive rock and progressive metal. I feel this only enhanced their sound. A sound which is again spotless. A lot of detail, just listen to the opening minutes which form a kind of radio play to get the listener in the right mood. While on their previous release I kept thinking of Rush at times, that is almost completely gone. But only to the level that they created their own identity. Before I complimented the vocal harmonies, but this time they upped their game even more. Lot’s of time must have gone into creating all the vocal parts here. Very impressive and truly adding to that identity I mentioned. There is no discussion that this trio are competent musicians and songwriters, and with this release I am confident that their audience will grow significantly. And rightly so!